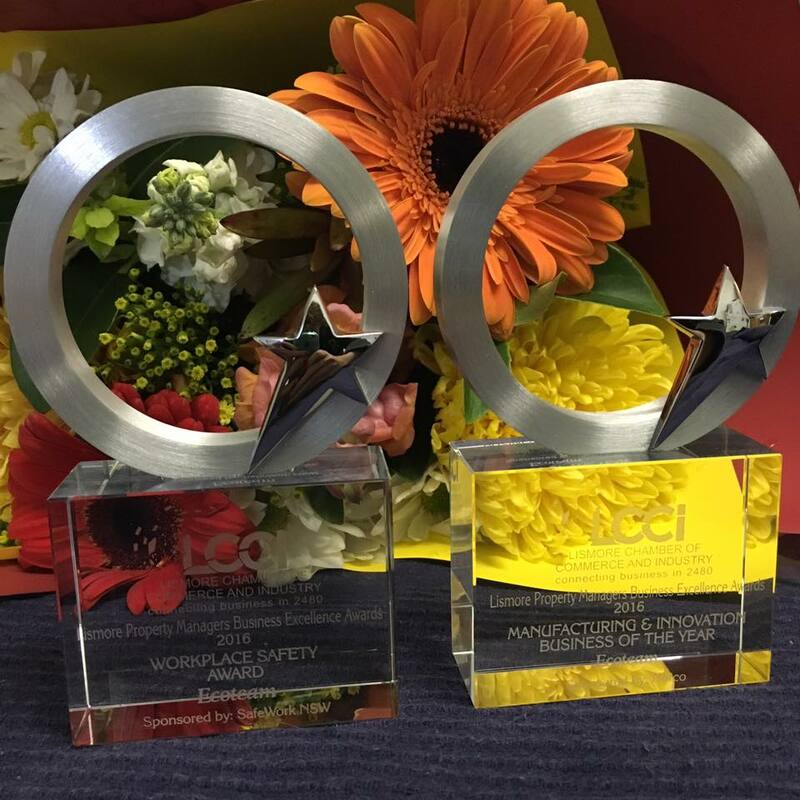 Ecoteam was awarded the Manufacturing and Innovation Business of the Year for their industry leadership and championing of innovative and sustainable technologies for environmental challenges. Ecoteam are specialists in wastewater treatment technologies and have designed wastewater treatment systems in regional NSW, Borneo and Papua New Guinea. Ecoteam also won the Workplace Safety Award sponsored by SafeWork NSW. Ecoteam works in rural and remote locations, and in high risk environments containing asbestos, soil contamination and untreated wastewater. Ecoteam staff all have families to get home to at the end of the day and take safety very seriously. Ecoteam will now go on to compete with other regional finalists in the SafeWork NSW State Awards.